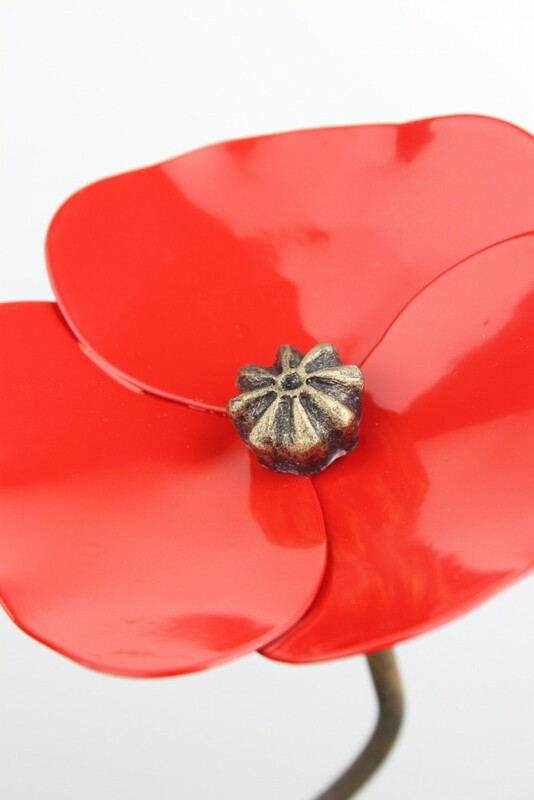 The popular poppy flower has just had a make over. Now with an adorable hand sculpted crown centre dusted with a gentle gold patina. 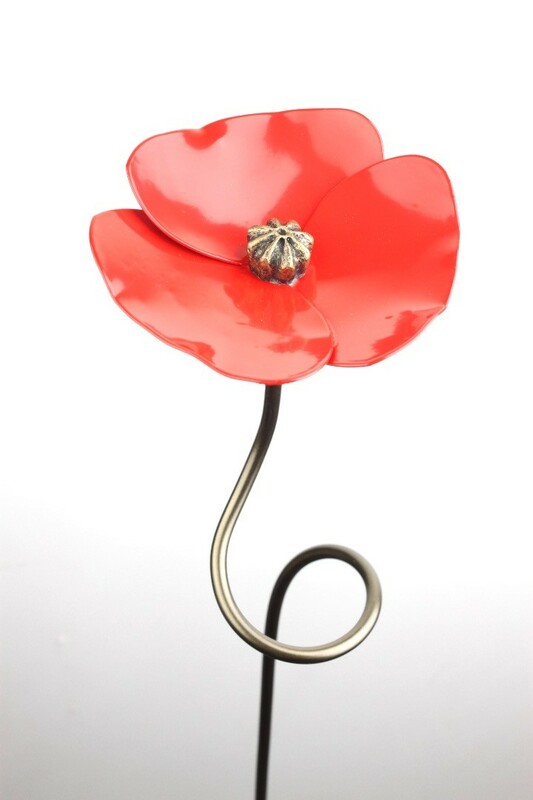 These delightful hand forged metal poppy garden decorations can be used to support plants when they need it or just make your garden look great in the winter when all the plants have finished flowering. They stand 110cm tall with a spiral loop that can support plants. 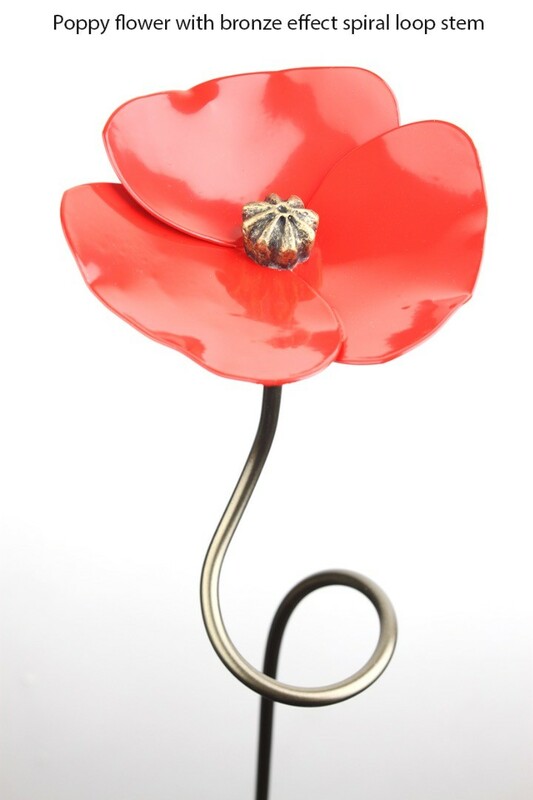 The flower is 11cm in diameter and made up of three petals each one lovingly hammered into shape. 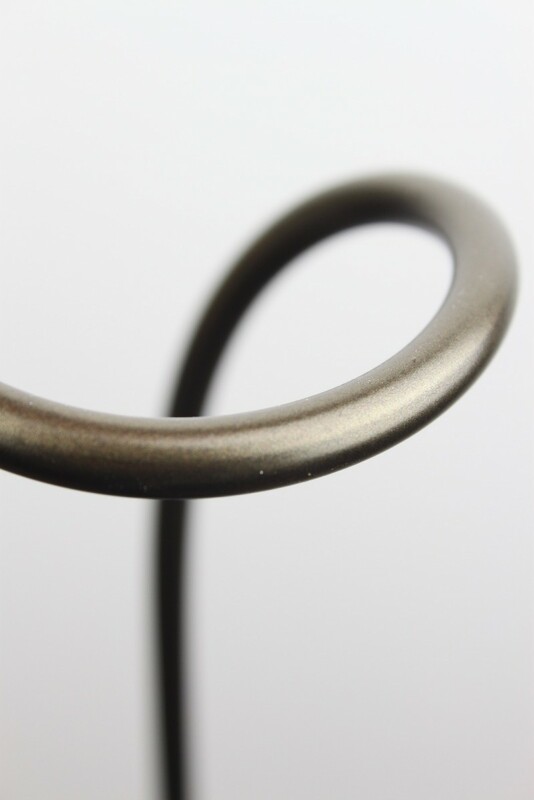 Each one primed and enamelled for outside display the standard stem is unfinished bare metal but this can be changed for stainless steel or bronze powder coated options. Just select the stem finish you require from the menu. 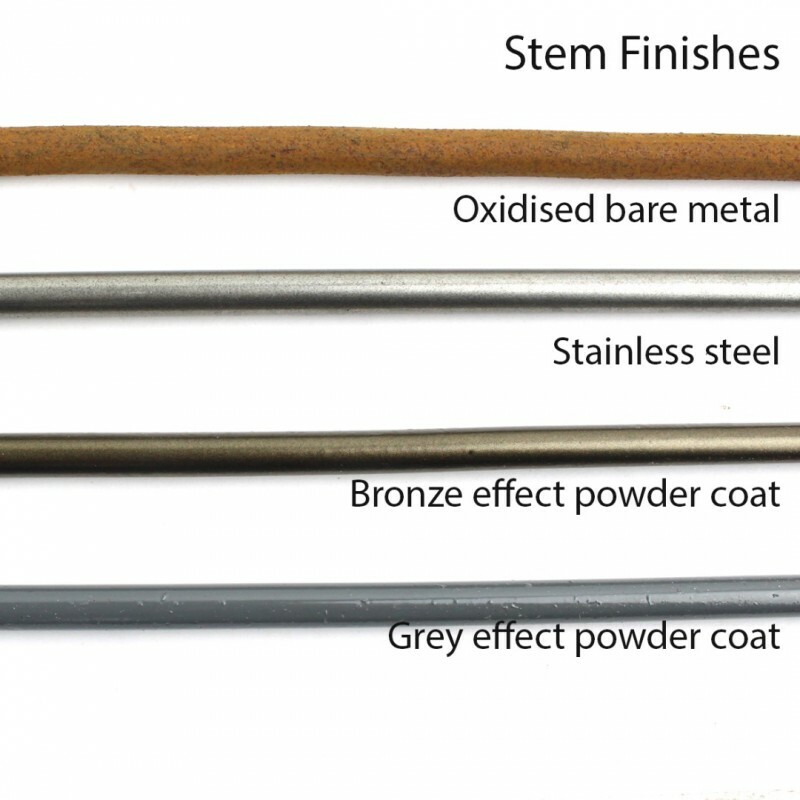 Bronze effect powder coat - Metallic effect dark brown stem will disappear into natural colour pallet of the garden.